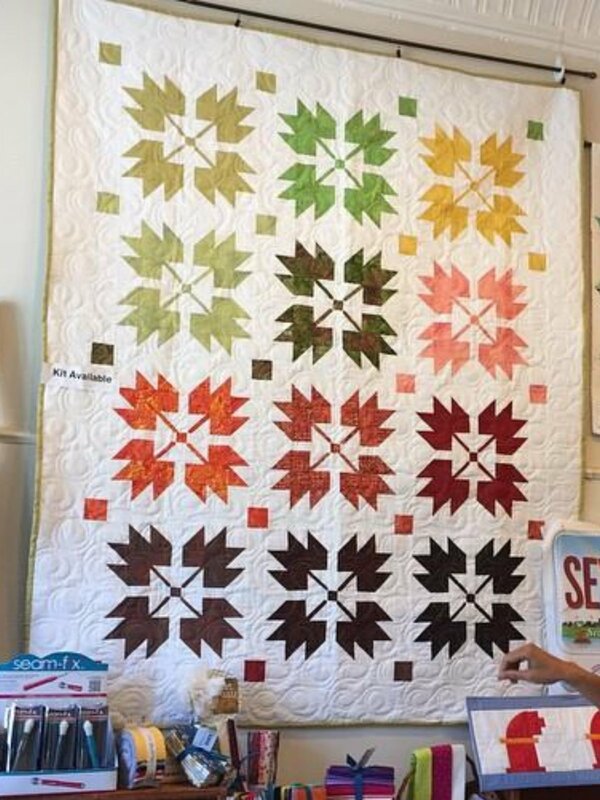 Leaves, this kit includes 12 Fat Quarters and pattern. You pick your background and binding, it can easily be added to your Fat Quarter Kit. Pattern by Moda Fabrics included.